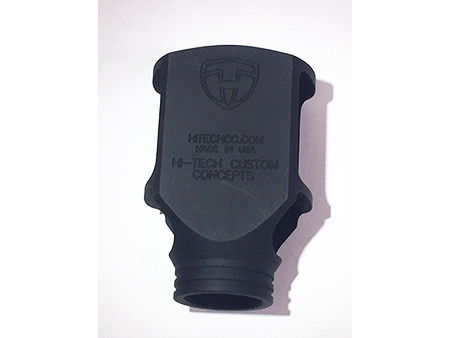 hitechcc Hi-Tech's Howitzer70 KSG Muzzle Brake. Reduces Recoil by up to 70%! Hi-Tech's Howitzer70 KSG Muzzle Brake. Reduces Recoil by up to 70%! - 5-Axis CNC Machined from 2024-T3 Aircraft Billet Aluminum. Keeps the weight down on the front this way. - Length: 2.595" past thread end, Diameter: 2.000" Wide X 1 3/8" High, Weight: 2.0 oz!!! 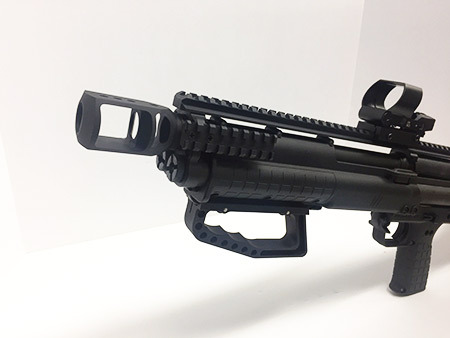 - Designed by US Military for Howitzer Cannons, now applied to the KSG for the same amazing effects. - Top Vented Holes machined to Reduce Muzzle Rise. - Angled Side ports to maximize Recoil Reduction giving us that amazing recoil reduction. - Black Hard Anodized to Military spec MIL-A-8625 Type III Class 2 for Steel like Strength. 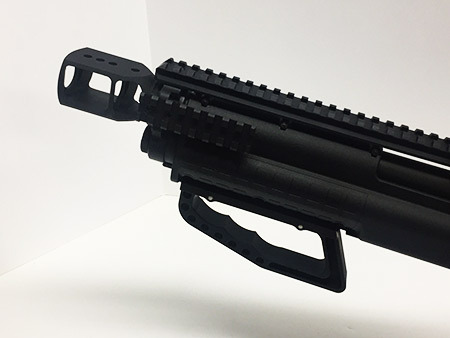 - Comes with complete directions to install on your KSG. - This item is "Design Patent Pending", (Howitzer70 Brake Patent Pending). Thank you. I am compelled to write about my experience with my KSG with the Howitzer 70 Muzzle Brake. My friend, the NRA Instructor/Range Officer, informed me prior to the range visit, that he doesn’t fire shotguns because he has had nothing but bad experiences with sore/bruised shoulders. Another friend who shoots 12ga also indicated sore/bruised shoulders. My KSG was the big surprise of the day! Everyone shoot the KSG and had a great experience. Everyone indicated minimal recoil and perceived the recoil from my .40 Glock 22 S&W Sub 2000 was greater than the KSG! My friend, the NRA Instructor/Range Officer, did not stop firing the KSG until we were out of range-purchased ammo – For the third time! The experience was great, unexpected, unbelievable, and very fun. I think my NRA friend has a KSG purchase in the future. Great job with all your excellent accessories! I ordered your Howitzer70 muzzle brake for the KSG back in 2016 when it first came out because I knew I was going to buy a KSG in the future. I finally bought one, last week my daughter and I took it out for the first time and shot it without the muzzle break and the other parts I bought from Hi-tech. I came out of the range with pain. I was hating that shotgun. So I went home and Installed the muzzle brake along the extended selector. The following week we both went back to the range and shot the KSG. OMG night and day between the two. It was so much more fun shooting the KSG with the Howitzer muzzle break. It’s a amazing how much the recoil reduced.